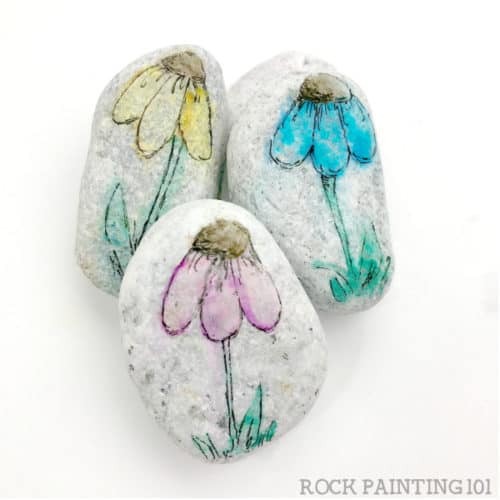 Flower rocks that are bright, colorful, easy to create, and fun! 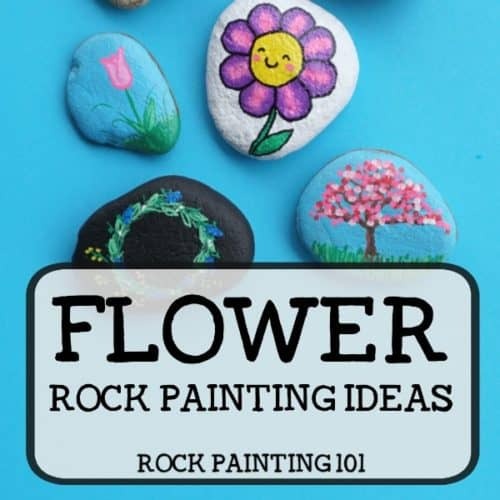 Check out this collection of easy flower painting ideas that will make beautifully painted rocks! 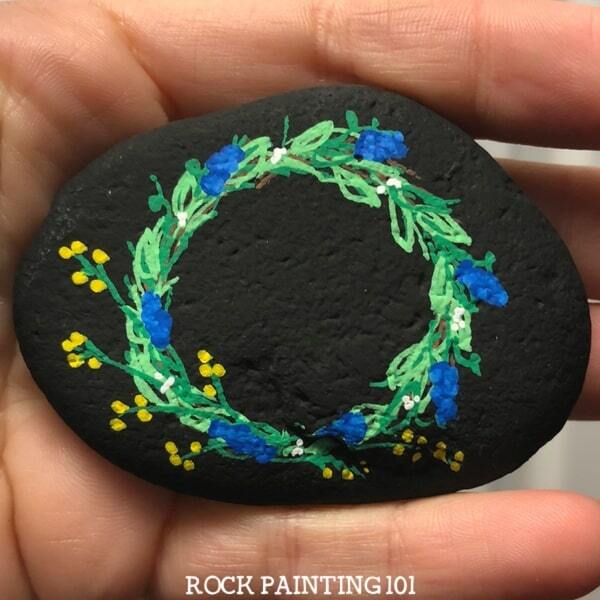 When it comes to painting flowers on rocks, there is a small speed bump for beginners. How to create easy flower paintings. Sure, some are super simple. But you want something that looks amazing and that will make someone’s day when they find it. 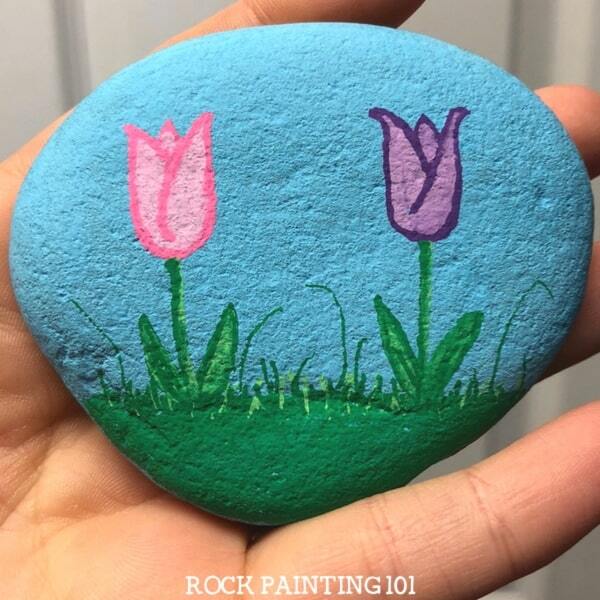 You want to paint flower rocks that you will be proud of. 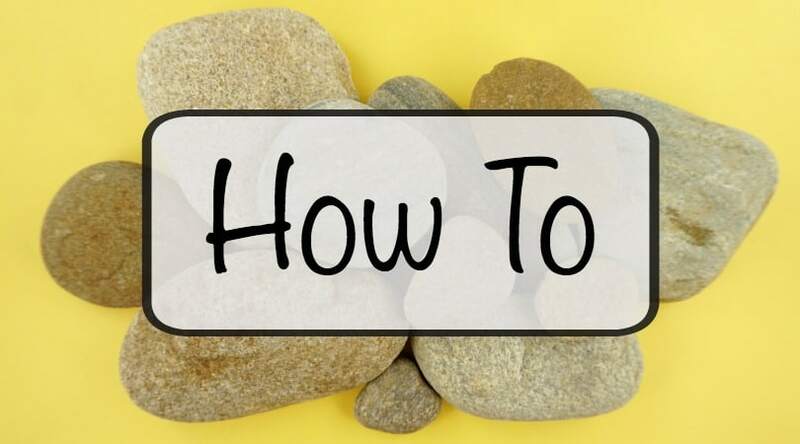 So here is a collection of stone painting ideas that you can conquer. Each idea has a tutorial that will walk you through the process. Oh, and this list will continue to grow. So check back often! From fun spring tulips to bright and happy smiley face flowers, there is an easy flower painting idea for you to try! 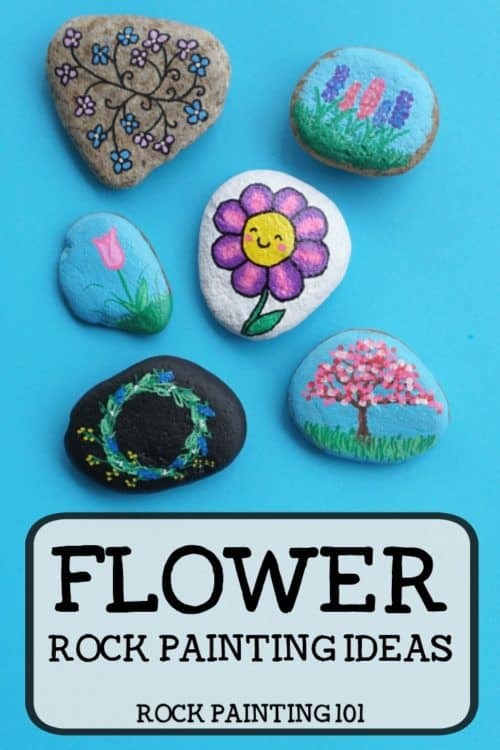 Using an inexpensive craft supply, that I’m sure you already have, you can create these lovely flower rocks. 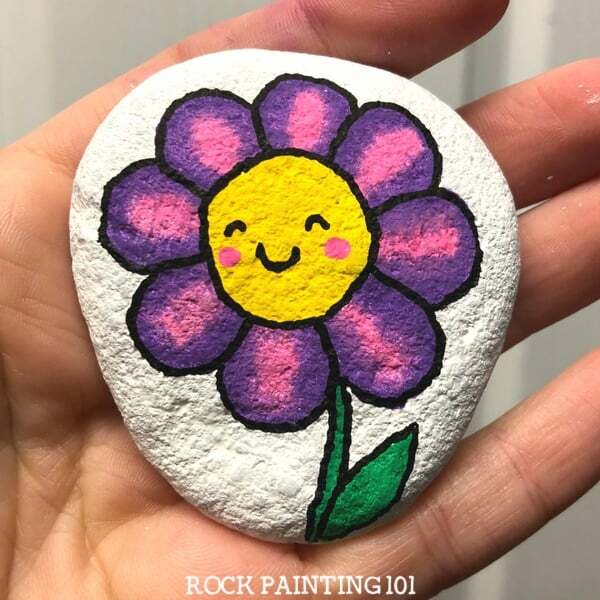 The smiley face on this painted rock is sure to make anyone happy! Tulips are my favorite, so you know I have to show you how to draw one in this tutorial. Who needs a wreath on their door, when they can have one on a rock!! 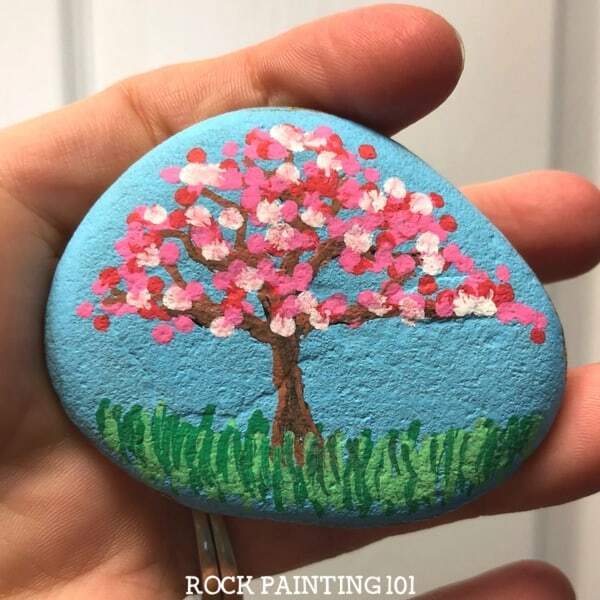 Use a fun dot painting technique to create a bunch of flowers on a spring tree! 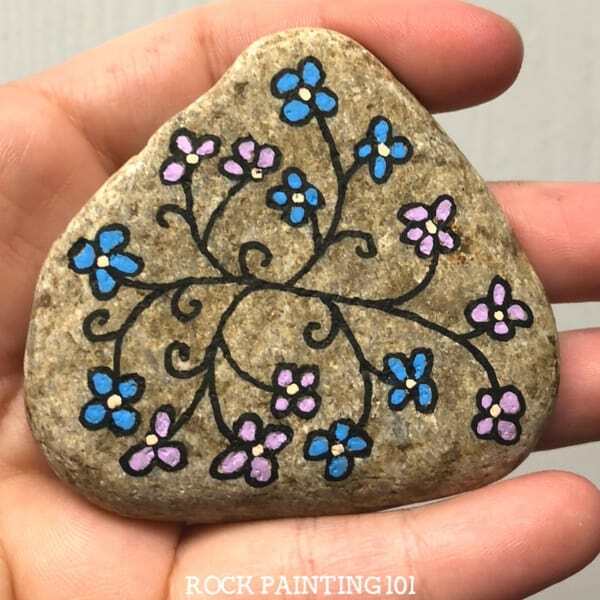 This Facebook Live shows how easy it is to create small flowers on a rock! 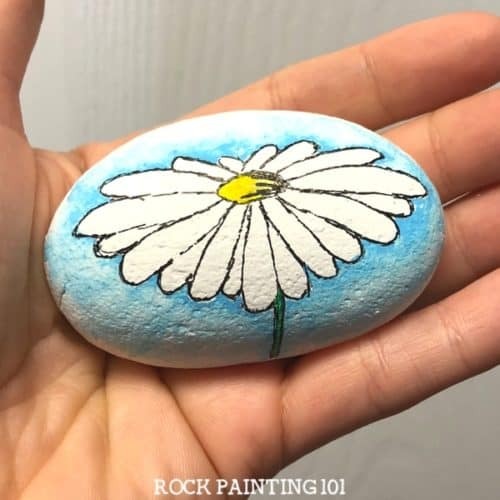 Learn how to create a watercolor effect while creating this beautiful daisy painted rock. These flower rocks are just making me so happy! I can’t wait to add more to this collection. 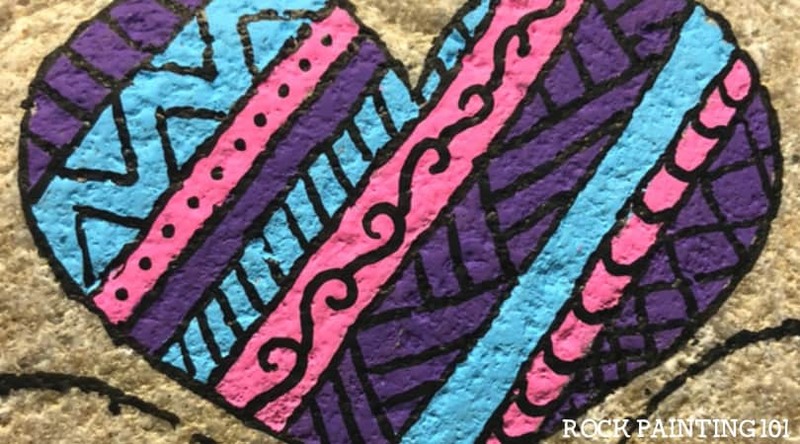 Pin these painted rocks to your favorite Pinterest board!